By Samantha E. Cole, Esq. For those who find love in their 50’s, the future brings both adventure and risk. Marriage at any stage requires practical consideration, but for adults in midlife, the challenges increase. At this age, you are likely to have older children who may be attending college, or working, with spouses and children of their own. You are also likely to have accumulated assets and liabilities. The following article sets out two steps you can take to protect yourself, your family and your future spouse. A second (or third) trip to the altar presents unique obstacles that should be tackled before you tie the knot. Perhaps the most common concerns among these are divorce and death. There are two steps that you can take to carve out and protect what you have saved, in the event that your happily ever-after isn’t either “happy” or “ever-after”. The key to preserving all or a portion of your estate in the event of death or divorce involves two integral steps: first, you need an air-tight Prenuptial Agreement; second, you need an updated Estate Plan. A Prenuptial Agreement allows you to distinguish between separate, non-marital assets and marital assets. Generally, after marriage, the income, assets and debts you accumulate are treated as part of the “marital estate”. In other words, by operation of law, your spouse automatically acquires an interest in your estate on the date that you marry. These rights may not be consistent with your wishes for yourself, or your existing family. With a well-drawn Prenuptial Agreement, however, you and your future spouse may designate what will be treated as “marital” and what will not. For instance, a Prenuptial Agreement can dictate what happens to the real estate that you owned prior to marriage, or even purchased during the marriage. You may want to ensure that your spouse will have a place to reside indefinitely, in the event of your demise; alternatively, you may not want to share that residence with him or her in the event of divorce. In addition to a Prenuptial Agreement, you should update your Will, Power of Attorney and Health Directive or Living Will before taking the plunge. A comprehensive Estate Plan is the perfect mate to a solid Prenuptial Agreement. As you approach age 50 and beyond, you will need to give serious thought to retirement and how you want to enjoy your Golden years, particularly with your new spouse. Your long-term care needs, and social security benefits, are further topics that should be discussed and addressed prior to marriage. For instance, one question to ask is whether your new spouse is the best person to make certain decisions on your behalf in the event that you become incapacitated or unable to make sound health and financial decisions for yourself. Again, the importance of a proper Estate Plan, including a Will and Power of Attorney, cannot be ignored at this stage and should go hand-in-hand with a Prenuptial Agreement. Samantha E. Cole practices exclusively in the area of family law, handling sophisticated and complex divorce, custody and support matters. 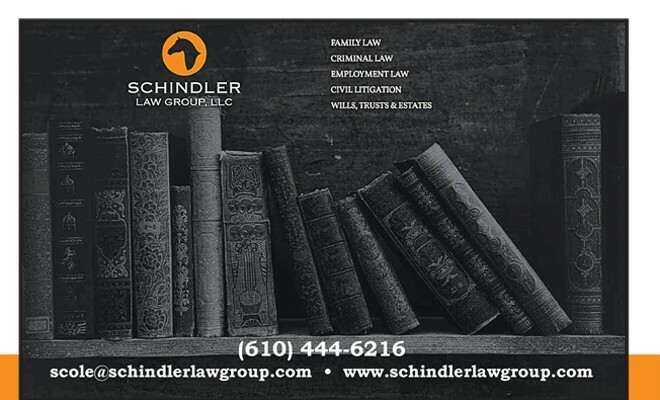 She regularly handles contentious disputes, including custody relocation occurring within the Commonwealth of Pennsylvania and throughout the country. Samantha also assists clients in negotiating and preparing prenuptial and postnuptial agreements, marital settlement agreements, and custody and support stipulations. Samantha is a graduate of Ursinus College and Villanova University School of Law, and a native of Chadds Ford, Pennsylvania. Samantha currently resides with her young family in North Wilmington, Delaware. Your upcoming nuptials mean a new beginning with the love of your life. In order to insure that this is a happy and stress-free experience, you cannot leave it to chance. Take control of these important life changing matters now, and protect yourself, your family and your new love. A comprehensive and well-drafted Prenuptial Agreement, together with a current Estate Plan, offers you, your family and your new spouse the peace of mind that you deserve. Please call me at (610) 444-6216 to discuss your goals and together we can put a plan in place.